If there was ever anything worth singing about, and there certainly is, this would rank right at the top. Though I was guilty in sin, Jesus, the BEST defense attorney EVER, earned my acquittal. O, to sing of the triumphs of His grace, of which I certainly am one. How about you? I realize I may have influenced your answer with that heading, but I would still like you to do something. Take a moment to do a little reflective self-assessment. How were you doing before you surrendered your life to Jesus? Can you remember what that felt like? What are some words you would use to describe that state? I am serious. Take at least a few seconds and try to recall what was going on in your heart. Now, do you have those words in mind? Were they words like these: hopeless, lost, dead, frustrated, afraid, alone, guilty? Many who come to Christ lack an understanding of just how bad off they were, so they struggle through much of their Christian life trying to just do better, as if their new standing relied upon them. The underlying problem is that most of the time most of don’t think we’re that bad. 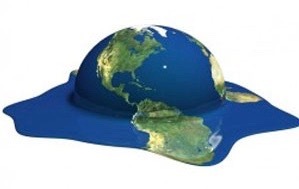 But we are. Or at least we were. The gavel has fallen and the final verdict on our sin has been passed. Based solely on the merit of Christ’s finished work on the cross, on the day you stand before the Great Throne of Judgement our Father, the Judge, will be able to day, “I find the defendant NOT GUILTY.” Not certain about the legal imagery here? Consider how the writer of Hebrews puts it in 9:26b-28. 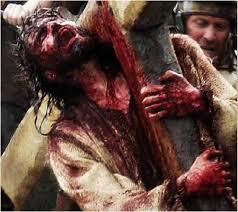 26now he has appeared one time, at the end of the ages, for the removal of sin by the sacrifice of himself. 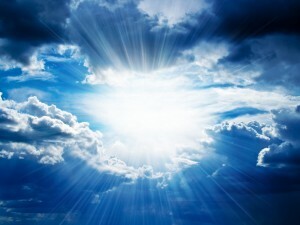 27 And just as it is appointed for people to die once—and after this, judgment— 28 so also Christ, having been offered once to bear the sins of many, will appear a second time, not to bear sin, but to bring salvation to those who are waiting for him. I imagine it this way. So there I am at my sentencing. 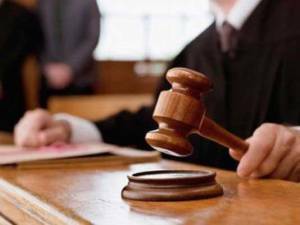 Having heard the record of my sin read back to me, the Judge asks for my response. Fully aware that I have no reasonable defense, I take a deep breath and am about to throw myself on the mercy of the court, when Jesus reaches over and stops me. My Accuser, Satan, having laid out an airtight case against me, sits back in his chair and waits to see what Jesus will say. To my chagrin, He acknowledges the accuracy of every charge, but then offers the rebuttal to end all rebuttals by asking that my punishment be placed upon Him. Justice is accomplished in my case because Jesus’ sacrificing Himself for me covers all my sin and sets me free. Fully and simultaneously aware of my sin and Jesus’ grace, I revel in the unmerited favor afforded to me. I can still see the imprints of the long-worn shackles on my wrists and feet as I exit the proceedings. 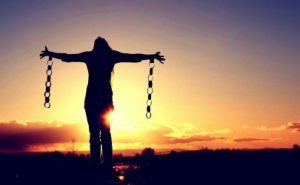 It is not hard to imagine the weight of the sin I had long carried, nor the possibilities that exist now that I am free of it. I run from its’ darkness and to the Lord’s light, thankful for my freedom. Does that rendering resonate within your heart? It should. It is the story of each of us who have placed our faith in the finished work of Christ, His blood shed on our behalf, to satisfy the righteousness of God. We will take some time in the next blog, Foulest to Faultless, to consider the efficacy of Christ’s blood on our behalf, but for now will you just thank Him? Thank Him for cancelling the power of sin. Thank Him for setting you free, no longer sin’s prisoner. Thank Him you get to sing His praise, until and then beyond the day when you will stand faultless before the Throne. Jesus, thank You cancelling the power of sin in my life. Thank you for setting me free, by taking my punishment on Yourself. I could never have earned my freedom, but You gave it to me anyway. I want that realization to continue to transform my daily living and my praising. In Jesus name. Amen. Subscribers, enjoy this video log! Now we recount some of the reasons we want a thousand tongues to sing. He breaks the power of sin, cancelled by His work on the cross, and our faith in it. Thank Him. He sets the prisoners free. Take a moment and recall what your prison looked like, and felt like. Give Him praise for setting you free. It is imperative we acknowledge our wretchedness so we can revel in being made new. Tell Him you were filthy with no way to get clean, nor even the desire to. Availed here means to help or benefit. Thank Jesus for helping you by applying the benefit of His blood to your sins and so enabling you to stand pure before our Holy God. Not long after beginning my journey with Jesus, a dear friend introduced me to this stanza. We injected it into another song we were writing and I personalized it as I sang, “‘Tis music in this sinner’s ears”, and as much as that was true back then, it is even moreso now. You are probably familiar with that saying which essentially describes something that is pleasant or gratifying to hear or discover. A quick search reveals this concept dates back at least as far as Shakespeare, but regardless of the origin, I believe it is safe to say that nothing across all of history is so pleasant or gratifying to hear or discover as the name of Jesus, when rightly understood. Musicians, or music lovers in general, can appreciate this phrase because of the way their souls have been moved while making or enjoying music. Can you remember a time when your soul was stirred by a piece of music? Whether there were words or just an instrumental line, you were moved deeply within your being. Something happened as you heard the combination of notes that resonated deeply within you. 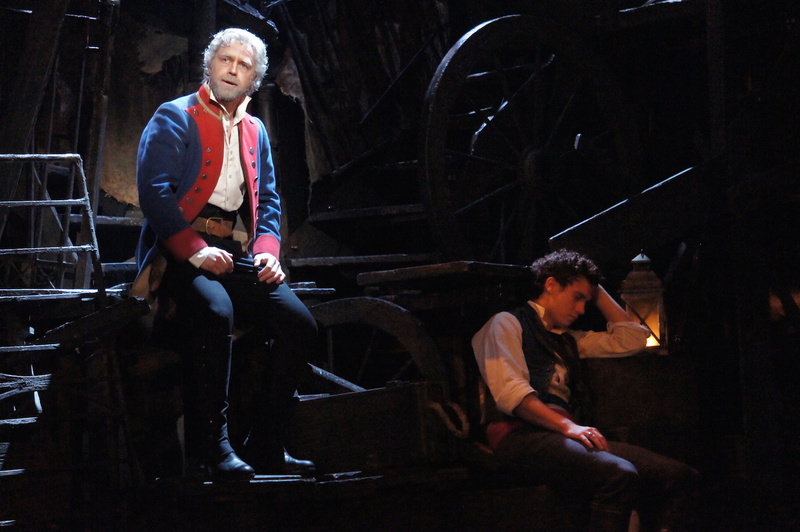 For me, as a tenor, one such piece is “Bring Him Home” from Les Miserables, especially the last note. But this phrase is not lost on non-musicians either. Many are familiar not only with this expression but the feeling of hearing something that brings delight to the soul. All that said, it is a masterful use of a familiar turn of words, especially as it applies to the music of the unparalleled name of Jesus. Saying it is unparalleled is not just a powerful statement to make a point here. I am simply reiterating what the Scripture clearly declares. This is maybe nowhere more clear than in Philippians 2:9-11. There is coming a day when every creature and all creation will bow before Jesus. For those who have come to the incredible knowledge the Jesus is Lord, and have surrendered to that knowledge, His name is “music to their ears”. Interesting sequence of words in this last line. It seems like the opposite of the natural order, but after some consideration really make sense. Jesus’ name is actually the source of Life. Health and Peace flow from it. First, He said this in John 14:6. “I am the way, and the truth, and the life. No one comes to the Father except through me.” Pretty bold and exclusive statement, but when you are God you can get away with such declarations, especially because it is the truth. Notice Jesus did not say He was a life, or simply life, but THE life. Out of that reality flows the next paradoxical proclamation. His name is health, and it was His death that creates the paradox. There are a number of different Scriptures that speak specifically to this character of God in general and Jesus in particular. But allow me to draw attention to Isaiah 53:5. Speaking here of the Suffering Servant that was to come, Isaiah says his wounds will heal us. Jesus is that Suffering Servant and His sacrificial death accomplished our healing. But did you notice the other of our words Isaiah mentioned? Peace. The punishment that He suffered brought us peace. What He was about to endure, that which Isaiah had prophesied centuries before, validated these words from John 14:27. So my question to help you tune today is, “Are you inviting the power of His name into your life regularly?” Whether lifting it in a song, or simply in prayer or conversation, are you allowing it to voice in your life? We will think about those first two lines in the next post on Thursday, but until then give the name of Jesus some expression in your life. Subscribers, you can just play the vlog below for one such opportunity. Jesus, Your name is music to my ears! Help me to speak it more often so that I create some opportunity for you to usher Your life and health and peace into my living. Forgive me for not giving you more access to my lips and ears. Help me to help others know You today. In Jesus name. Amen. I just love hearing many voices lifted together in praise. I love being one of those voices. I suppose those are probably things you enjoy as well since you have arrived here and are reading this. But what if you could not sing at all? If this was your experience for a season, especially if you were able to sing before, then you would be glad to be able to lift your voice in praise again. I can say this with confidence because it was my experience. 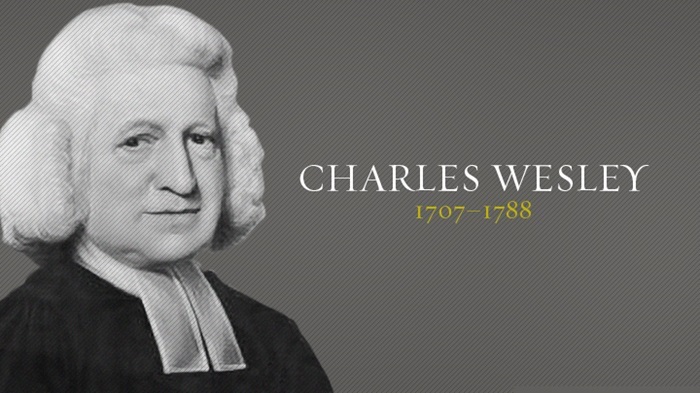 This hymn was written by Charles Wesley to commemorate the one year anniversary of his healing from pleurisy. 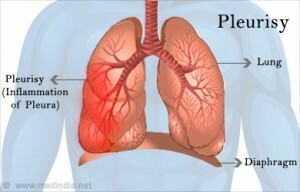 Pleurisy is inflammation of the tissues that line the lungs and chest cavity. 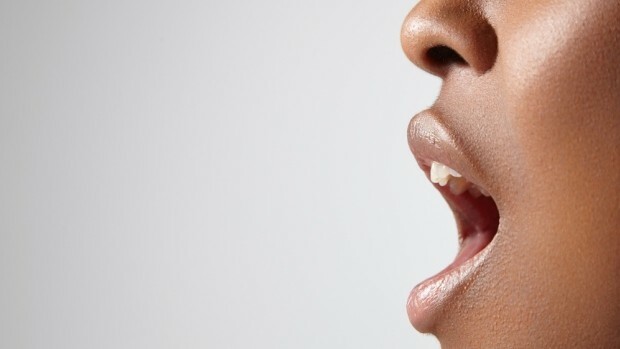 It causes chest pain that worsens during breathing, and generally hurts more with deeper breathes like those required to sing. It is a painful condition that can be treated with anti-inflammatories, pain relievers and rest. I am not sure beyond rest what other care might have been available to Wesley, but I availed myself of all three of these and then some. I actually developed an infection which required surgery to remove the infectious material in my chest cavity. Three days after that initial procedure undetected internal bleeding nearly cost me my life. A second emergency procedure was conducted to rectify that issue. Needless to say, as I lay in ICU I was so thankful to be alive that I struggled to take in enough breath to quietly sing praise to God. I had to praise Him for I felt my survival was a triumph of HIs grace. If I had known the story of this hymn I would glad have sung it, but I do indeed vividly remember singing Amazing Grace to God who had again “saved a wretch like me”. 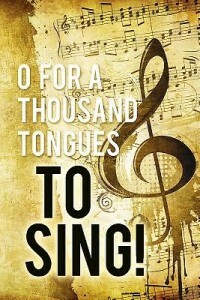 “Had I a thousand tongues I would praise Him with them all”. Though we know this hymn by the words that so aptly capture that thought, they actually served as the seventh stanza of the original eighteen stanzas. Most hymnals have shortened the hymn to between 6-8 stanzas, which is not uncommon for many hymns. As you would imagine there are some good stanzas which did not make the cut. This one comes before the one that calls the deaf to hear His voice. This is a great call to the world to worship. This is a great concise declaration of the Gospel. You can’t really “praise Him with them all” if you don’t even know they exist. Of course we do not miss those stanzas if we never knew they were a part of this great hymn. But this is like the inverse of the saying “You don’t know what you’ve got until it’s gone.” More like, “You don’t realize what you are missing until it arrives.” Not quite the same, other than relating to an awareness of something possessed or dispossessed. For me, it was not really being able to sing or even take a deep breath, in those days leading up to the diagnosis and first procedure,and certainly between the two. I did not realize how precious using one tongue to praise my Redeemer. Loosing the ability to do so, even for a few days, helped me to realize what a gift being able to praise truly is. I am certain that realization is a part of what inspired Wesley to pen these words. So my question to help you tune today is, “Are you using everything at your disposal to give praise to God?” Whether musical ability or some other talent or skill, are you making the most of them to declare His glory? 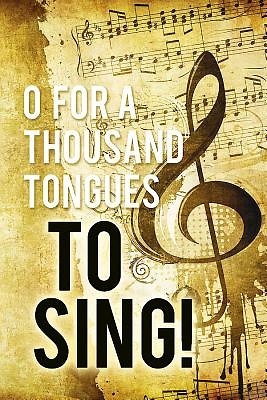 Wesley gives us words to commit to using a thousand tongues if we had them, but maybe we need to make certain we are maximizing each of the ones we currently possess. If so, then go ahead and ask for more. If not, then it is definitely time to do some tuning. Jesus, thank You for giving me the tongue I have, and every other ability to render the praise that is due your Name. Had I a thousand tongues, they would not be enough to magnify Your excellencies. Even still, help me to make the most of every ability I possess, and graciously add to them according to Your will, that I may use them each to exalt You. In Jesus name. Amen. I still remember singing this for the first time. As the notes began to ring out from the piano and I stood there about to be baptized, I belted out this new song I had learned in the three weeks since I had first surrendered to grace. It was very encouraging to have only begun to wrap my mind around the fact that I now had peace with God which would last for eternity, peace which I declared with confidence as I modulated for those last two lines. I had only just begun to sing God’s praise, but I had quickly found that there was no feeling like it. I have spent the last twenty-two years enjoying and reliving that experience again and again, and helping others to do the same. Even with that little perspective it is overwhelming to think of how much praising still lies before me. Thank You Jesus! Over the years I have often said that it is unfortunate how little time we spend thinking about the place where we will spend so long. I like imagining what it will be like to sing God’s praise in His very presence, before the throne. I like thinking about how different that will be, partly because of how different I/we will be. The words say, “Bright shining as the sun”. Every other line acknowledges we, you and I, all the saints who will enjoy Heaven because they have found their rest in God’s amazing grace. This line reveals a bit about our appearance, and in so doing it eludes to other things. You and I will shine brightly, as the sun. On my best days on this side of glory, I am nothing nearly as bright as that. My very appearance will have been radically transformed. Whether it happened to prepare me to be in God’s presence or is the by-product of being there makes no difference to me. I will not be the same. If this is true, and I absolutely believe it is (2 Corinthians 3:18), then there are implications at every level of our existence. If I thought I could sing now, imagine what we will sound like then. Voice strong and free, a tongue only, ever used to praise God, and a lung capacity that is unfathomable. Not to mention every other part of me lending itself to amplifying His praise. So how does that coming reality effect my current one? How can I tune my life to that perfect pitch? Well, realizing that I have been made and am being remade for thousands of years of giving God praise should encourage me to begin practicing now. I should use my voice these days in a way that is consistent with how I will use it those days, and that is not limited to singing praise, although I believe it absolutely should include it. Take some time to ask God to help you tune your voice…and the rest of you, to sing His praise. Jesus, thank You fro calling out of darkness and into Your glorious light so I can praise You. I know that I have even now only just begun, and I pray you will help me to grow in my ability to do so in these days, even as I long for those yet to come. Help me to always use my voice in a way that brings You glory, whether I am singing to not. In Jesus name. Amen. Listen then read. This version is Chris Tomlin as found on Music inspired by the Motion Picture Amazing Grace. I think I first heard this stanza as the closing reflection of this version by Chris Tomlin featuring the new refrain he wrote for the movie. 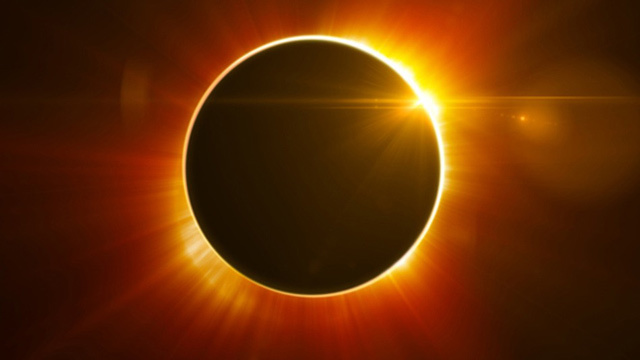 There is this incredible, grand sweeping idea that all we know in this existence as constants, the earth in its apparent solidity, the sun in its faithful radiance, will change; but this one thing will not, my relationship to God. It is difficult to wrap my mind around this, so expansive are the implications of this truth. Reading these words initially had the impact of making me feel very small, until the sweeping realization of the last portion sinks in. I go from feeling very insignificant, to very significant. I think this is especially true since I am writing on a day when I just experienced a solar eclipse. God, who made all the wonders of earth, moon, stars and sun, called me. He called me to be His, first made by Him then remade by Him, and I simply responded with praise. This calling is not just reserved for those who are in vocational ministry, by no means. When God calls us from darkness to light (1 Peter 2:9), He does so on purpose and with purpose. Our lives can seem small and ineffective at times, but they are not. God has called us “here below” and there is a purpose in that calling beyond just being His. It beckons us forward on a great journey with our Lord, though some are afraid to go. There is something He wants us to do and it flows out of our calling. 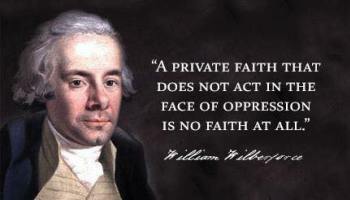 I think William Wilberforce knew this. A British Parliamentarian, it was not long after he surrendered to the call of Christ that he became a strong voice for the abolition movement in England. The movie Amazing Grace chronicles his struggle against the slave trade, one that dominated about 20 years of his life, and ended with the passing of The Slave Trade Act in 1807. Before you are tempted to spiritualize this question beyond all hope of recognition, let’s keep it real. The Latin word meaning to call is vocare, from which we derive the word vocation. God has called you to do something, and a big part of that may very well be your vocation and/or the things your vocation positions you to do. Do not dismiss the possibility that you may be doing part of, if not even more of what God has called you to do. Ok, now take a couple minutes. Seriously, just ask Him. You may be surprised by what you hear. Once you have determined that and surrendered to it, two very different but deliberate actions, I want to encourage you to press into it with all you are. Do not relent when things get difficult. Press on until one of three things happen. Jesus calls you to Heaven. Jesus, thank You for the confidence that even if the earth dissolves and the sun darkens You will care for me. I can rest in and move around in that confidence to do what You have called me to do. May You find me faithfully working until it is fully accomplished, or You call me home. In Jesus name. Amen. Finding some help here tuning? Sign-up in the form above to the right to get updates of new tools to help you be Resonant.